With the Rio 2016 Olympics at a close and the Paralympics underway, there were many exciting stories to come out of this year’s events including those with a sports technology focus, yet none received as much media attention as 12-time Olympic medalist Ryan Lochte and his three USA Swimming teammates involvement in the gas station fiasco down in Brazil which came to light after a video was revealed catching them all in a cover up lie. Hope Solo was suspended by US Soccer from the women’s national team after critical remarks she made after a semifinals soccer loss to team Sweden in Rio. At the same time in sport history, Cleveland Cavaliers superstar LeBron James launched the “I Promise” program to help pay for tuition and University of Akron general fees for 1,100 kids at a cost to the LeBron James Family Foundation totaling $41.8 million as the NBA’s best player marches on towards becoming a philanthropic billionaire. The Sports Techie does a deep dive look into the Ohio University Online Masters of Coaching Education program infographic: The Evolving Modern Professional Athlete. 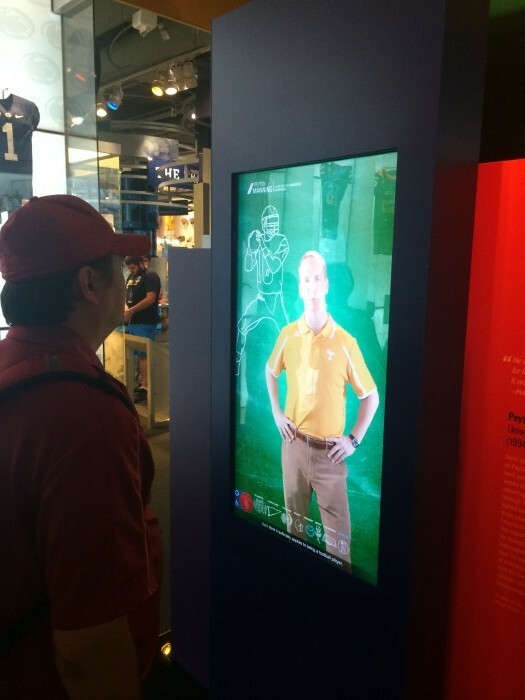 Infographic: Ryan Lochte, Lebron James and Hope Solo demonstrates the importance of athletic endorsements to modern athletes, image via THESportsTechie at College Football Hall of Fame in Atlanta. This compelling visual resource discusses the current state of the evolving professional athlete. Ohio University’s prestigious Masters in Coaching program compiled the infographic with academically sourced research that constructs a clear picture of how brands and technology are pivotal to modern athletic success. Through discussing the monetary significance of these deals along with social media’s impacts and requirements, content in the graphic ties in directly to the recent happenings in Rio and can be used as an excellent reference moving forward. The information in the infographic brings to light the business and civic roles that sports tech means to the modern athlete and the reasons why it affects the development of player’s roles and their responsibilities in professional athletics. The advancement of technologies changes the playing field at sporting events such as Rio 2016 and often not on level ground. The Sports Techie mission is to even the sports tech playing field for all, something the recent summer Olympic Games medal counts shines light to a serious issue of the imbalance of sports technology for the haves and have nots with richer and poorer countries. The infographic data displays the affect sports tech has on court performance (equipment/training advancements) and off the court branding (social media, advertising, fan engagement), both intertwined with the modern day athlete because of sponsorship that was not as present for athletes decades ago. After faking to be robbed at gunpoint, the Olympic swimmer lost 4 major sponsors and was suspended for ten months by the United States Olympic Committee – a harsh decision that could harm his trajectory toward the 2020 Tokyo games as all training funding and access to the USOC training facility in addition to making him ineligible for the 2017 world championship swim meet. After all, as a professional swimmer, most of Lochte’s recognition and net worth came from these lost endorsements. In an effort to clean his slate, the athlete is now in line to be on the next “Dancing With the Stars” competition. In Seattle, I was a moderator for the DWTS wiki provided by Wetpaint and wrote a weekly blog for MSN.com so needless to say I love the dance show, and understand the mostly positive exposure it presents to athletes, actors and entertainers. This Lochte story really reminds me of the importance of branded athletic endorsements and how these deals have molded the modern professional athlete. Sports professionals from years past did not have to deal with what athletes do today. Most of these changes can be directly associated with the internet, social media, and high-paced media. An athlete is put in the limelight easily and popularity is gained quickly. All of this attention has made athletes more than simply professional sports people. They are walking brands, a representation of their team, communities and much more. The truth is that the role of the athlete has been slowly changing for some time. Some could trace this back to Arnold Palmer, a premier golfer in the 1960s. Palmer used his golf image to make over $500,000 in addition to his athletic work. The golfing legend ended up representing 15 corporations in his day. This only grew by the time Michael Jordan came into the picture. Jordan ended up making $2.5 million from his endorsements back in 1984, though this number jumped in 2013 when he signed $100 million in endorsements. It should be noted that these athletes were asked to wear the logo of the company, attend events, and avoid representing any corporate competition. The NBA athlete can thank MJ23 by Nike and his sneakers for pioneering the endorsement space. Today’s athletes have more to consider regarding endorsements as they stand to make a lot more money. Social media, for one, is now included in most endorsement contracts. This means that athletes must talk about the corporations that have endorsed them on their own personal social media handle. Take LeBron James, for example, whose cost per tweet via @KingJames is now worth $139,474. Sure, more money sounds great to modern athletes, but the reality is that there is much more pressure to perform off-the-court because of these endorsement deals. Technology is so widely available that many of the athletes’ actions are always under the microscope. Infographic: Ryan Lochte, Lebron James and Hope Solo demonstrates the importance of athletic endorsements to modern athletes – #SportsTechie blog. If an athlete decides to have a party and drinks a little too much, a fan with a smartphone or other digital device might film and capture the lunacy. This athlete now stands to lose some value due to the damage that he or she received. Of course, this is a small offense, but there are other problems that could arise like that of Ryan Locate’s recent robbery scandal. Or, that of Hope Solo and her suspension by U.S. Soccer after disparaging comments made towards the Swedish team after the USWNT lost their semifinal round football match in Rio de Janiero. The Lochte and Solo incidents have definitely hurt them and their value as an asset to many corporations and the NGB’s. 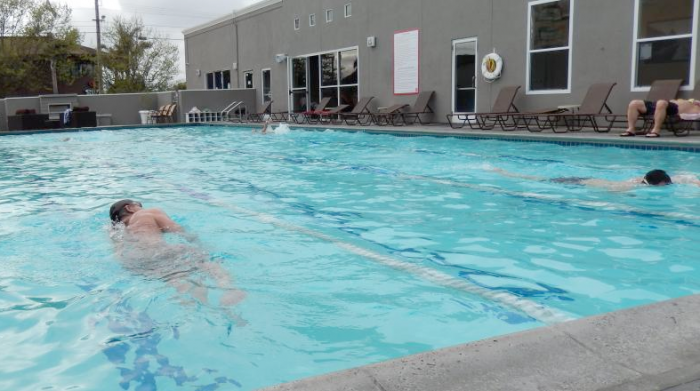 The controversies spread virally like wildfire on the internet through Facebook, Twitter, and others social media sites and platforms, and now, the swimmer faces a 10 month probation from competing for Team USA recognized by both the USOC and USA Swimming. Solo was suspended by the team and her US Soccer contract was terminated. The IOC is strangely but not surprisingly silent on these stories. It’s clear to see that everything is not always greener on the other side. Athletes have more than one job now that their image is so closely scrutinized. Of course, there are other benefits that the modern athlete is enjoying such as performance monitors and smart, wearable devices that produce biometrics. These technologies can help athletes stay on top of their health through monitoring heart rate or body fat BMI via software, applications and digitally engineered equipment. Other wearable technology is meant to track an athlete’s performance. This allows trainers, athletes and recruiters to have a better understanding of their performance, training, injuries, rest, and sleep. Having a better idea of an athlete’s performance might help the coach work on problem areas, which could make him or her a better player. Another technology being introduced will make personalized shoes for some athletes. The concept will use 3D technology to make an exact image of a person’s foot, and it will manufacture a custom shoe out of that imprint. This can give athletes like runners a more flexible and effective shoe, which should boost their athletic performance. Virtual reality and augmented reality headsets are more sports tech-centric products, systems and solutions created to impact sports performance, game planning and player health. Statistics and sports analytics are also changing the way players, teams, and even association and federations, operate after capturing the insightful data. 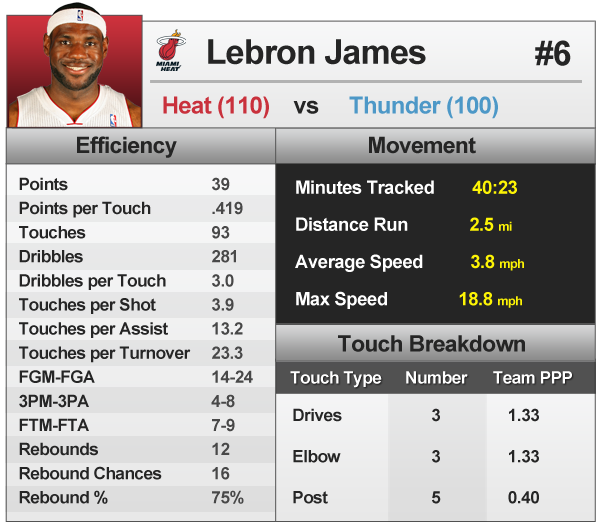 The stats often reflect good and bad performances by athletes and teams. Numbers and analysis are used during contract negotiations to predict future performances of aging athletes. Sports tech products and tools that gather performance and track data are being sold as as a sponsorship activation component during TV and web based broadcasts while at the same time producing an enhanced fan experience. There are many more technological and scientific advances in the works for athletes in the near future, which is why it is important to make a valiant effort to try to understand how some of these changes might affect today’s athlete. The below infographic created by Ohio University’s prestigious Masters in Coaching program discusses these advancements while analyzing the impact of endorsements on the modern athlete. Sports Techie, our blog about the Infographic: “Nothin’ But Net … Worth” 7 NBA Stars Who Get Business Done Off the Court discusses the Big Seven and how they made their money, sponsorship and how they spend it. LeBron James has become a role model for fellow athletes, leagues and fans alike through his efforts to give back by donating through the @LJFamFoundation, you can engage and follow along on hashtag #Tryingtomakeadifference. I wanted to name my son LeBron. His Mother was not on board. Next came, Ricky-Bobby, after my brother Ricky, and myself Bobby, and the ‘Talladega Nights’ hilarious movie character of the same name played by actor Will Ferrell, but this was also the same no go by Mom. Then I had a dream about the name Kellan and it was approved. 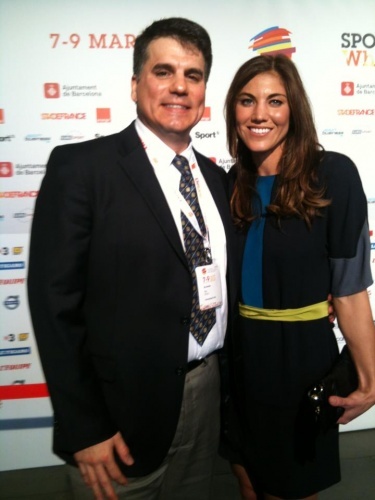 At the Global Sports Forum Barcelona (GSFB) 2012, I was selected to be an official blogger and met both Hope Solo and Oscar Pistorius, the gold medal sprinter with a prosthetic leg. The latter is perhaps the modern day poster child for what happens to an endorsement star of the London 2012 Paralympics and Olympics after a fall from grace because of his murder conviction resulting in the loss of sponsors, fame and his influence on a generation of adaptive sports athletes. By now, expecting parents of babies around the world and across the nation are naming their kids LeBron, but Oscar, Hope and even Ryan took a severe blow after Rio. Infographic: Ryan Lochte, Lebron James and Hope Solo demonstrates the importance of athletic endorsements to modern athletes – Sports Techie blog. At the local YMCA I met a nice grandfather named Tim. He is very kind to Kellan and had an idea for Lochte I will share in hopes he gets the message. Tim said he thinks Lochte should try and change his public image by getting behind kids with special needs, in particular autistic children that love to swim, or don’t know how to yet. I am all for that idea since Kellan is on the spectrum and does love to swim, especially since introducing arm floats a few weeks ago that gives him confidence when swimming by himself. Lochte can be that same source of confidence to the autism community, imo. Perhaps he can assist me with his 1.2 million Twitter followers and do his sincere part to help get my THESportsTechie Kickstarter project crowdfunded over the next 21 days because I plan to use any proceeds to design and create an app for autistic boys and girls, and their parents too, to help learn how to walk, run, jump, throw, climb, and swim, yes swim. We are your huckleberry, Ryan. Thanks to the Ohio University Online Masters in Coaching Education program for sharing their infographic: The Evolving Modern Professional Athlete. Enjoy the Paralympics, support LeBron, forgive and forget, and use sports tech to improve athletic performance.